The U.S. Court of Appeals for the Ninth Circuit has certainly earned its reputation as a circuit willing to push out the boundaries of environmental laws and regulations. Consider its June 1, 2012 en banc ruling in Karuk Tribe of Ca. v. U.S. Forest Service, where seven of the sitting eleven judges held that the Forest Service’s decision not to regulate low-level mining activity on public lands constituted an action under the Endangered Species Act, requiring the Service to consult with the Fish and Wildlife Service. In a dissent joined by three other judges, Judge Milan Smith began his opinion with an image and quote from Gulliver’s Travels, and wrote “decisions such as this one, and some other environmental cases recently handed down by our court undermine the rule of law, and make poor Gulliver’s situation seem fortunate.” On March 19, the Supreme Court regrettably denied review in Karuk Tribe. We must, however, give the Ninth Circuit credit on its environmental rulings when it is due, and it’s earned some accolades with its April 3 Ecological Rights Foundation v. Pacific Gas & Elec. ruling. And despite the “citizen’s group” plaintiff’s loss, the decision is one that on this Earth Day, environmental advocates should be applauding as well. The plaintiffs sued under the citizen suit provisions of the Clean Water Act (CWA) and the Resource Conversation and Recovery Act (RCRA), alleging that poles treated with pentachlorophenol (PCP) contributed “solid waste” to waters of the United States through stormwater runoff. In other words, when it rains, PCP washes off of the poles and enters various bodies of water. As the court noted, EPA has not decided whether to regulate utility poles as “point sources” of pollution under the CWA. Reviewing applicable judicial precedents, the 9th Circuit panel concluded that because neither the poles themselves nor their owners channel or collect the runoff, the plaintiffs had no claim under the CWA. 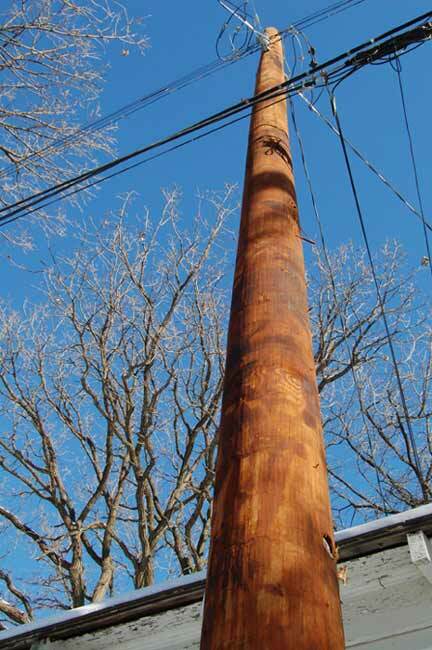 As of 2008, there were 36 million utility-owned wood poles in service across the United States which have been treated with PCP. It defies reason to suggest that each of these poles, while in use, is producing ‘solid waste’ under RCRA and thus must be replaced. Untreated wood utility poles last approximately 7 years; pentachlorophenol-treated poles last 36 years. What amount of environmental damage would be done if all current, treated poles needed to be unearthed, carried away, destroyed, and replaced with 36 million new poles? On top of that, how much damage would be done if that process had to be repeated every 7 years? Sometimes, environmental activists are so focused on the trees (or in this case, the poles) that they lose sight of the forest. Happy Earth Day, from the U.S. Court of Appeals for the Ninth Circuit (and WLF). Does Federal Circuit’s K-Tech Communications Ruling Further Ease Path to Patent Litigation? Reblogged this on Stananeto's EarthMan Blog.